You can choose different size seed roasting machines according to your own requirement. The peanut roasting machine has the fully independent intellectual property rights of the patent products, widely used in oil and food processing in sesame seeds, peanuts, rapeseed, sunfloer, melon seed, walnut meat, beans, buckwheat, tea seed, cottonseed, castor seed, paulownia seed material and so on. Why do you choose our peanut roasting machine? 1.Easy to operate!The peanut roasting machine is easy to operate. 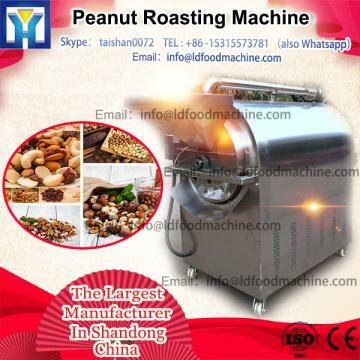 2.High efficiency!The peanut roasting machine is high efficiency,saves manpower and time. 3.Saving space!The peanut roasting machine covers a small area of the space. 4Strong adaptability!The peanut roasting machine has the fully independent intellectual property rights of the patent products. The peanut roasting machine is used to try oil seed(stuff). The pan is barrel-shaped with seal and works by rolling so that the heat is distributed evenly and heat loss is minimal.the frying temperature is automatically controlled.The fry pan is applied to treatment of oil seeds before oil extracting. If you need,I would provide you with the nut roaster operation video. We can also supply the other machines what you need,such as the crusher,the conveyor ,the oil press and the oil refinery. Remove the seed shell before pressing for oil. They can be used to filter all kinds of edible crude oil.This frame oil filter machines composed of filter plates,filter frames,oil pump and filter cloth,etc. The conveyor can convey oil crops up into the feeder of oil press machine. sunflower, coconuts and grass seeds,etc. The Oil refinery is with automatic temperature control device to keep temperature and pressure.It is the best choice for oil processing factory. For more information,please feel free to send me inquiry and contact with me! * Free replacement of main body in 12 months from the date of purchasing. 2. We provide spare parts all year around at factory cost. 3. We provide technical solutions for clients at any time. Our company was firstly established in early 1992.It has grown up to a manufacture and export oriented,multi-business corporation dealing business all over the world. We supply a large variety of oil production machines including seed roaster,screw oil press machine,hydraulic oil press machine,oil filter,oil refinery machine and complete oil production line.These equipment can be used to extract edible for diesel oil from peanut,rapeseed,soybean,sesame seed,sunflower seed,palm fruit and kernel,coconut fruit,olive,cotton seed,tea seed,rice brans,jatropha seeds and so on. For more information , please feel free to send me inquiry and contact with me! ---15~30 days after order confirmation.We need time to prepare machine according to exporting standar -d, wear-in, maki-ng wooden box, fumigation and suitable ship arrangement from forwarder. 2.If I don't know how to operate this machine? how can I do? ---Our machine has been tested OK and fully assembled before shipping, customer just needs to make2-4 hours wear-in and then can work. 3.There are too many modes,which one should I choose? ---Welcome to contact us through 2017 popular roasting machine/peanut roasting machine/roasting machine price, we will recommend according to your requirement. If during closing time or weekend,Please send mail to us,we will response within 24 hours. 4.What are cold press and hot press? ---Cold press is pressing dry and raw seeds. Usually need to press 2 times to get maximum oil. ---Hot press is pressing roasted seeds. Usually only press 1 time to get maximum oil. peanuts roast to 125-130 degree with 1-2% moisture. (We also produce seeds roaster heated by economical fuel).